OxVox are delighted to welcome all life members of the Trust to the new OxVox reward scheme. We have teamed up with some local businesses who have links with OUFC to offer you some exciting discounts. We hope that you can take advantage of some great offers and at the same time support some great local firms. New partners will be added to this page over the coming weeks and months, so visit this page again from time to time. Please present your reward card when taking up the offers. 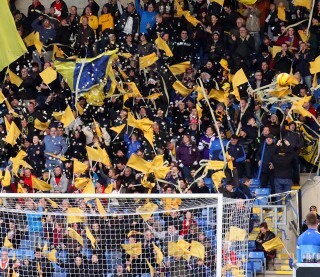 If you are a life member and have not yet received your reward card please look out for us in the South Stand Bar at the Kassam Stadium pre-match or email enquiries@oxvox.org.uk and we will post it to you. If you wish to upgrade to life membership please do so via the ‘RENEW’ page on this website. We are delighted to have CAIRA as our back of card sponsor and thank them for their support. As the scheme takes off we would like to invite you, our members, to add your businesses to the scheme, to help provide a wide range of offers. If this is something you are interested in please contact us via enquiries@oxvox.org.uk .